The Alienware Aurora R3 comes with an Intel P67 MicroATX. It has four DDR3 Ram slots supporting up to 16gb of dual channel ram. It has two PCIe 2.0 x16 slots and two PCIe 2.0 x1 slots. 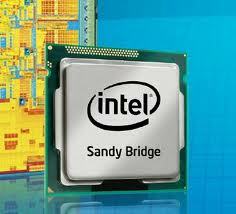 The Sandy Bridge chipset is the next generation of Intel's Core i-series processors based on the latest 32nm die. They have improved overclocking abilities and offer a much better performance per dollar ratio.